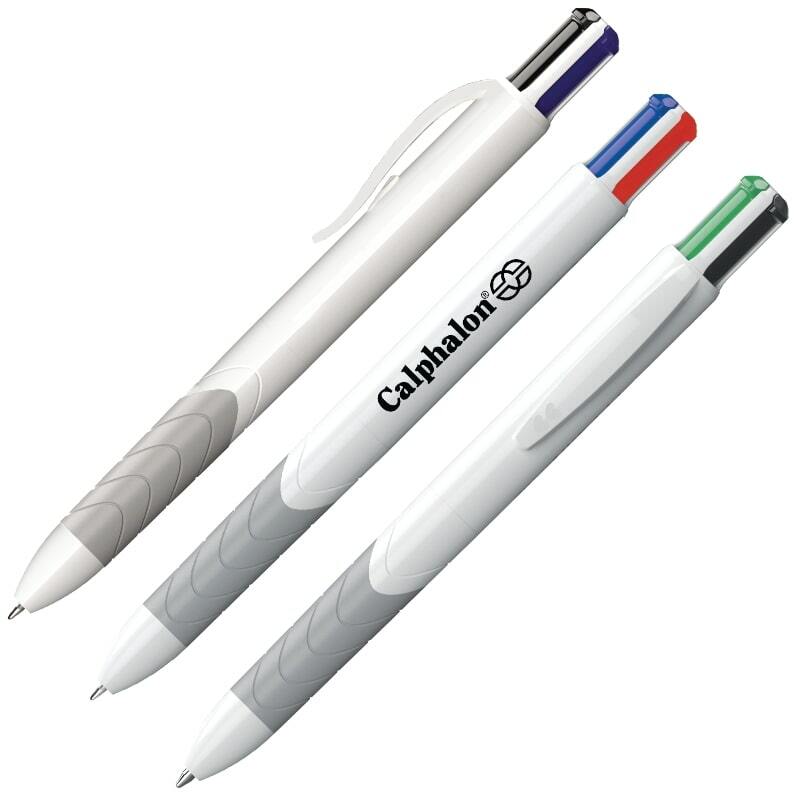 Paper Mate Pens - Get your logo on InkJoy Quatro Business Pens. Four Color Ink Pen includes at a click Black, Blue, Red, Green Ink. Apps are trade show giveaway, marketing, promotional products. Technical use stand points Business, Technology, Medical apps. Large imprint area, logo friendly white barrel, contoured gripper. Unique pen customized for quality cheap promotional products. Bulk order Four Color Ink Pen. Delivery 7 to 10 business days. Price includes a one color imprint on barrel 1 1/2" w x 3/4" h.
print color add a running charge of $.10 each unit. Logo does require Illustrator ai, eps, pdf art file. Enlarged image renders for optimum viewing desktop, tablets or mobile devices. Know that we use the highest quality images available for this internet display. Your display size may reduce the full resolution available to the user for view. Some options shown are not available and or not included with the image.